Liudmila Yakovlevna Adrianova (Liusya) passed away on her 84th year of life after a brave battle with cancer and its complications. She was a wonderful, bright, caring and loving person who touched the lives of everyone around her no matter where she went, truly beautiful inside and out. Liudmila was born in Moscow, Russia and spent most of her life in St. Petersburg, Russia. 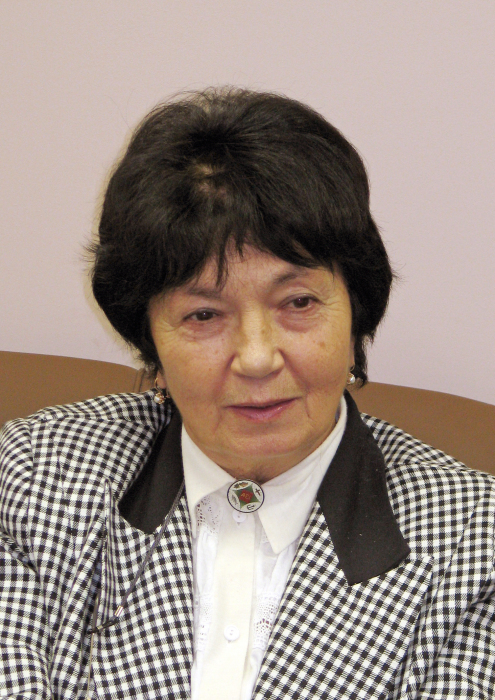 She received PhD in Mathematics from St. Petersburg University, where she proceeded to work as a professor of mathematics for the whole of her career until the age of 76. Voted #1 Favorite Professor of the Math Department by the students several years in a row, she was not only a great teacher but also wrote a book on linear differential equations which was translated into English and published in both Russia and the U.S. Liudmila was a member of both St. Petersburg and American Mathematical Societies. Mrs. Adrianova was politically astute and always had an acute sense of justice. She was called “the ethical conscience of the math department”, as she never succumbed to pressure from the KGB to become their informant, or participate in antisemitism in the departmental admission process. Liusya was an avid reader and loved Russian poetry, especially that of the beginning of the 20th century, which she could recite a lot of by heart. Wherever she travelled, she visited art museums and was knowledgeable in European history. She could easily find a common language with people from all walks of life as evidenced by friends she made everywhere. She was incredibly organized and had a “get it done” attitude. She used to say: “There is no such word as ‘I can’t’, but only ‘I don’t want to’”. In this spirit, when Liudmila moved to the U.S. in 2015, she wasted no time in acclimating to her new surroundings, relentlessly learning English daily and enjoying new technology like the iPhone, even using emojis to text. Liusya was a devoted wife, a loving mother, and a caring grandmother. She is survived by her beloved husband of 56 years Seva, her daughter Elena, and three grandchildren Yura, Zoya and Annya, all of whom will always miss her. The funeral will take place at 12:30 on Wednesday, November 21st, at Pickering and Son Funeral Home in Westborough, followed by a gathering at home.